2. 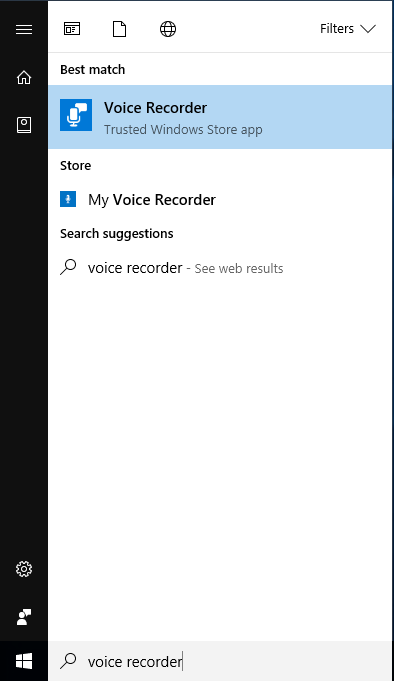 On the window for the application “voice recorder”, you can click the microphone icon to start a recording. Talk for 30 seconds without providing personal information. 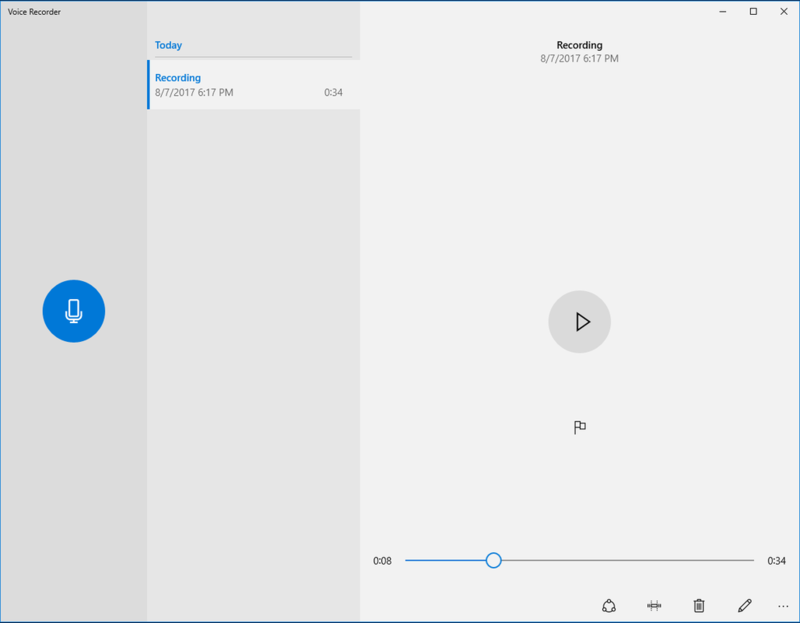 In order to stop the recording, click on the stop button on the recording screen. 3. After recording, you should see this screen. 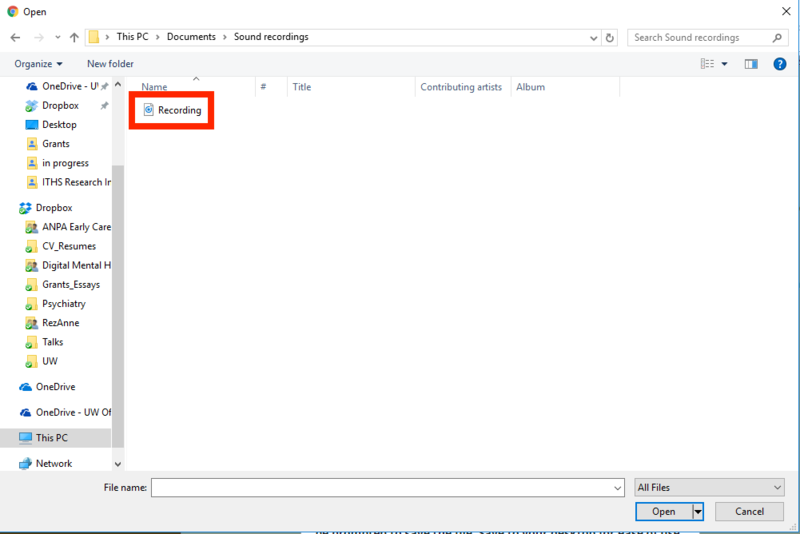 The file should be saved under “Sound recordings” under the computer’s default “Documents” folder. 4. 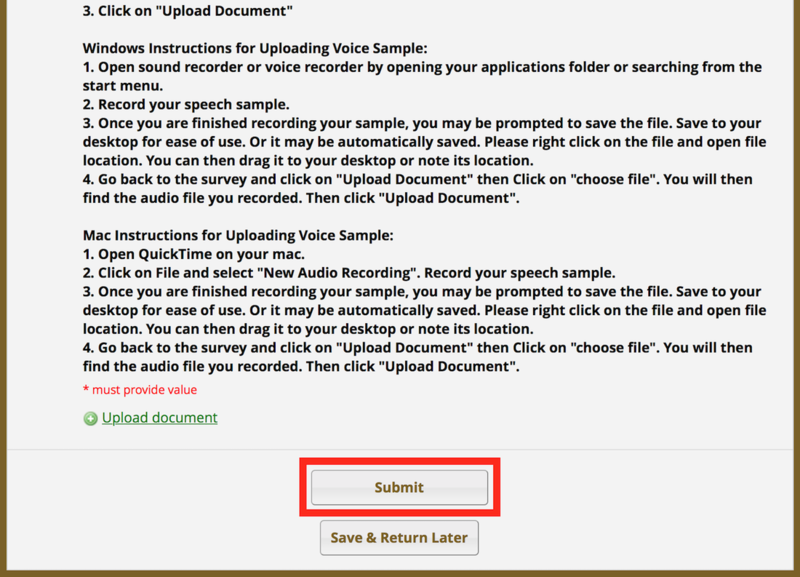 ​Next, we can upload the voice sample back on the website that you used to fill out the survey. 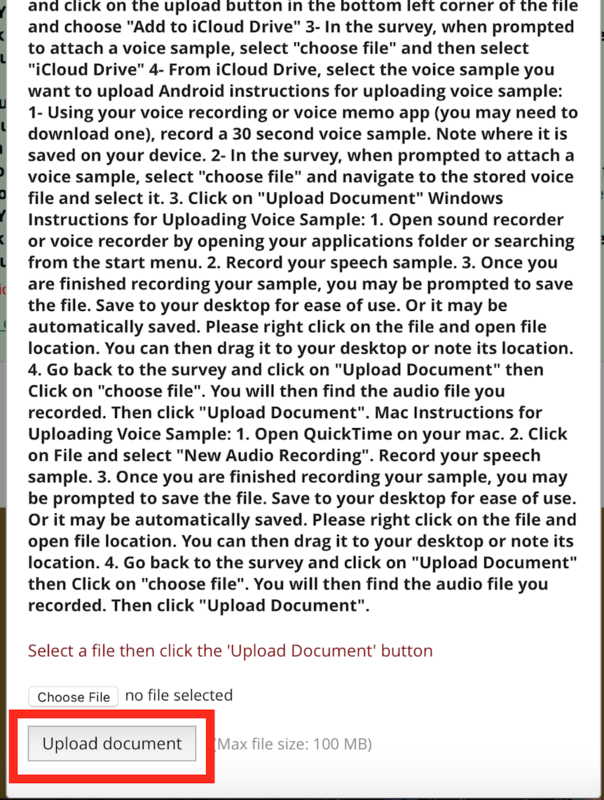 We will click on the “upload document” to upload the voice sample. 6. 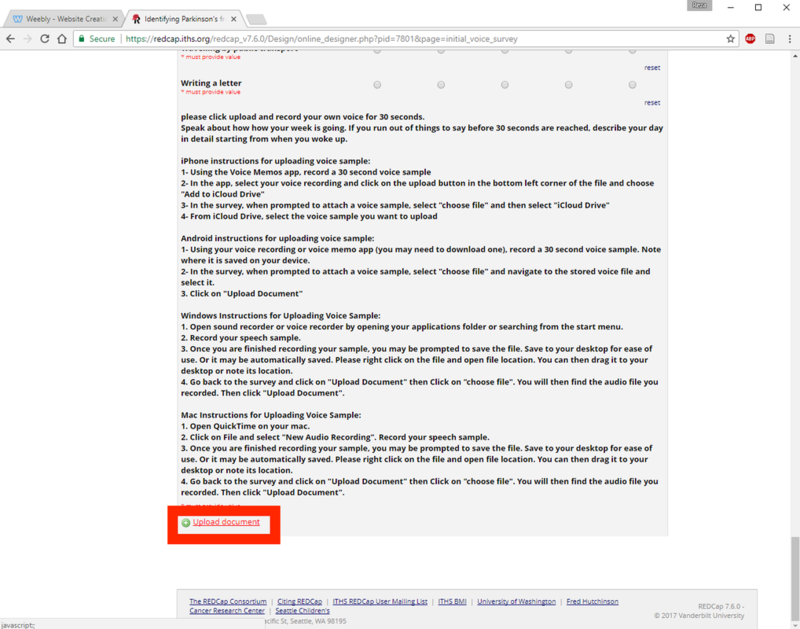 You can then click submit for both the upload and the survey to complete the survey. Thank you for participating!